Let's start with the positive, anyway. Gaiman's language is awesome, there is no doubt to it. So the writing is what I really enjoyed. I also liked the beginning: a middle-aged man comes to the village where he grew up and remembers the time when he was 7. The child's perspective is very believable, which is a rare virtue in books, and some of the fears and anxieties the young protagonist is experiencing are very familiar and easily recognizable. I think I'm one of many readers who can really identify with the boy. So the beginning, dealing with life of a normal 7-year-old boy, is wonderful, but then... Then the weird stuff starts to happen. Don't get me wrong: I like weird stuff, especially if it's Gaiman-written, but in this novel it just didn't work for me. I guess the main problem was that it was not subtle enough. Spooky flying ragged things? Meh. Scary black birds tearing reality apart? Again, not very impressive. So in the end I wished this book to be less obviously paranormal and the events to be less cumbersome. Evil housemaid, for example, was good, really good. Her wickedness could be a child's imagination, or she could really be some evil creature. What is real and what is an imagination of a child who is too fond of books? More of this kind of suspense could have worked much better than the ragged things. 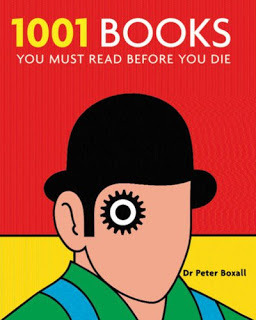 It is an good book, but most of the fantastic things didn't work for me. The writing is awesome, though, and makes it worth reading anyway. P.S. 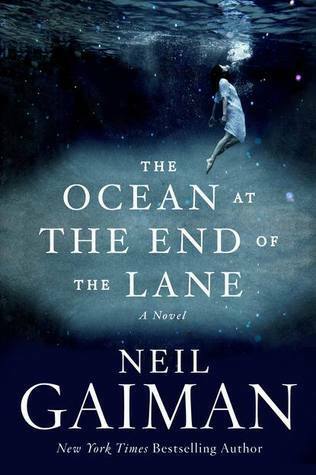 We'll have a discussion of The Ocean At The End of the Lane at Coursera Fantasy and Sci Fi book club this weekend. It's gonna be fun! I've discovered that there are a few people who in the eyes of the world are not able to do any wrong, and Neil Gaiman seems to be one of them. Alas, for me, having read only one of his books - Neverwhere - it just doesn't work. I mean I don't think it was a bad book, but it was nothing special. Maybe I should try his other works, but with one meh-experience already behind, I'm not overly motivated. If you want to have good experience with Gaiman, read Stardust! It's perfect. I also really liked Good Omens, which is written by him in collaboration with Pratchett. I'm yet to read Neverwhere, and I think I will, just out of interest :) We'll see if my experience will be similar to yours. I just read this the other day and need to write it up. I'll agree that it was not subtle, but I did enjoy it quite a lot. What a strange book. Strange is a very suitable word! I'm looking forward to reading your thoughts! I've definitely had that feeling, when I didn't like a super-popular book! I thought you gave a balanced review though--and I'm still looking forward to reading it! The scary hell-ish birds did freak me out, but I agree with you on the ragged thing; that was just odd. I loved the book, but for some reason the descriptions had convinced me beforehand that it would be a Coraline-like children's book for adults. The almost silly strangeness wasn't as unexpected for me as it seems to have been for you! My favourite Neil Gaiman, though, is a tie between Stardust and the completely different, Anansi Boys. I haven't read either Coraline or Anansi Boys. Need to get to that! And Stardust is an absolute fave! I confess that I do really like Gaiman, almost to the extent that it's like he can't do any wrong! Almost - but not quite. I didn't particularly like his short story collection Smoke and Mirrors and I was a bit so so about Dark Omens which he wrote with Terry Pratchett. I also thought Coraline was a great story but on this occasion preferred the film for it's vibrancy. So, I love some of what he does, but not all. It's not for everyone after all. Ok, second mentioning of Coraline! I guess this has to be my next Gaiman book!